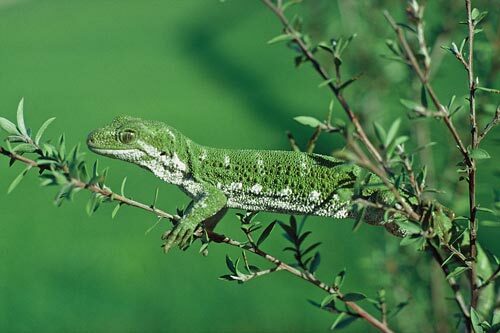 The rough-scaled or rough gecko (Naultinus rudis) is confined to the Kaikōura ranges. They are found most frequently in areas of mānuka and kānuka, and in forest. Most active by day, they can also come out at night. Parts of the head, back, sides and legs are covered in large scales, giving the gecko its name.